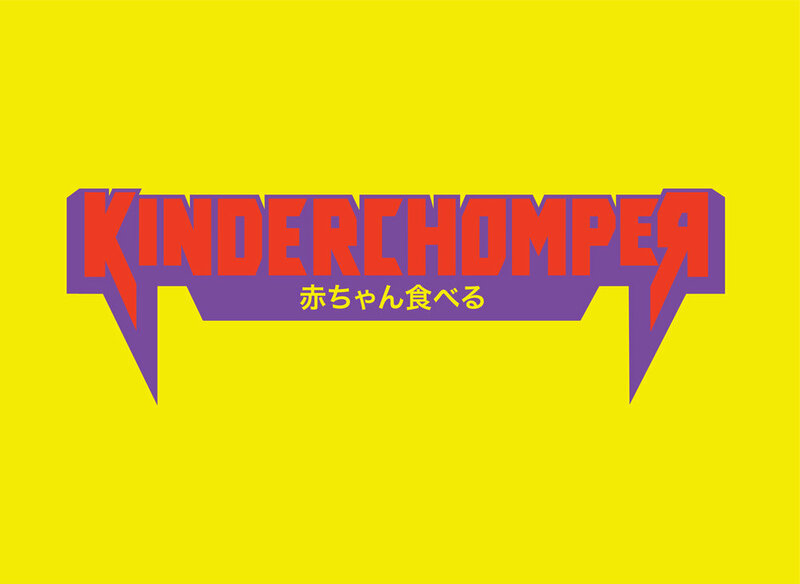 I designed a custom font and logo for the documentary film Kinderchomper. A story about a mild-mannered Midwesterner leading a double life as a baby-eating professional wrestler in Japan called for a Shogun warrior feel. This font and logo design was specifically fashioned to match the iconic mask Joe Klander paints on his face before each wrestling match. Below are movie stills and excerpts of how the font and logo are used throughout the film on name supers, animations, and end credits.